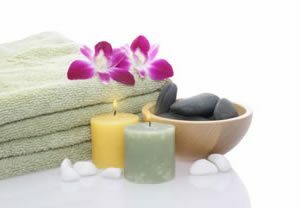 Happy Feet Reflexology is a Relaxation Foot Massage and Spa located at Wintergreen Plaza in Rockville, Maryland. Under same management as Nails By Timothy, which has been serving the Montgomery County community for the past 10 years, Happy Feet Reflexology opened its door to everyone in the summer 2010. Our salon is filled by an herbal fragrance and soft lights to make you perfectly relaxed. In this space, you can have a same experience which royalty of the ancient dynasty also had. When your mind and body need a luxury time, please recall that we are here waiting for you. This salon is the greatest place in all of Montgomery County. If only I could afford to go there once a week (every day would be even better!) Pamper yourself. Take care of yourself. Enjoy yourself. Your feet will be very happy as will the rest of your body. It is just a happy place to be. Everyone is in ecstasy. So many happy people. I really love it! Each time has been perfection. Can’t wait to go again. The Salon was designed to allow you to fully indulge your senses. The minimalist, contemporary design together with carefully selected soundtracks of various genres all but seek to bring about the most soothing environment possible for you to unwind, rest and recharge at. For those of you who had a long day at work, too strenuous a workout or want to prepare for an upcoming race – you now know where to head. You can also get a rub down on those tired shoulders or an aching neck through our Signature Service which offers not just foot reflexology, but also back, neck and shoulder massages. Our staff is friendly and professional. We will find a way to meet your needs and wish to satisfy every client. We’ve been told that our Reflexologists have “hands of gold” and they are experts at tailoring a customized Reflexology Foot Massage for your health & wellness.